Ellwood School will provide all students with the educational skills and tools that will empower them to reach their highest potential. We will foster a partnership among students, parents, staff and the community that will ensure that all students will be supported to become productive and competitive members of society. 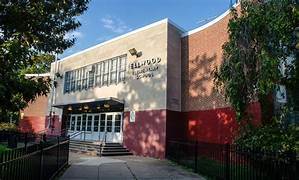 The Ellwood Elementary School’s mission is in alignment with the School District of Philadelphia’s mission to support students as lifelong learners. ♦ Ellwood’s vision is to build a world-class school for our children to ensure their success in tomorrow’s global society.We envision equipping our students to compete with any students at any school, any place in the world. ♦ The instructional leaders at the Ellwood Elementary School share the belief that all children can learn at high levels. Therefore, by providing children with a safe, nurturing and rigorous learning environment, all participants have multiple opportunities to excel. Through high quality, on-going, relevant teacher training, higher levels of teaching and learning will be accomplished in the classroom. Parents are able to become more active in the instruction being provided to their children through their engaging in multiple opportunities, on various levels, to work as partners with their children and instructional leaders in the school. At the Ellwood School, We believe that through a personal investment of high level training, expectations and accountability for ourselves, coupled with high levels of focused instructional delivery to our students, and quality service to our parents and community, our children can only achieve at high levels, enabling them to be highly productive citizens in the global community.